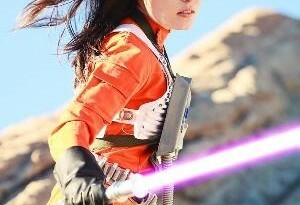 It’s no secret that women in the original Star Wars trilogy were few and far between. There was Princess Leia and . . . well, pretty much Princess Leia. Luckily, Leia was such a perfect mix of strength, intelligence, and just overall amazingness – and yes, she was also very pretty – she almost made up for the borderline comical absence of other women in the Star Wars universe. 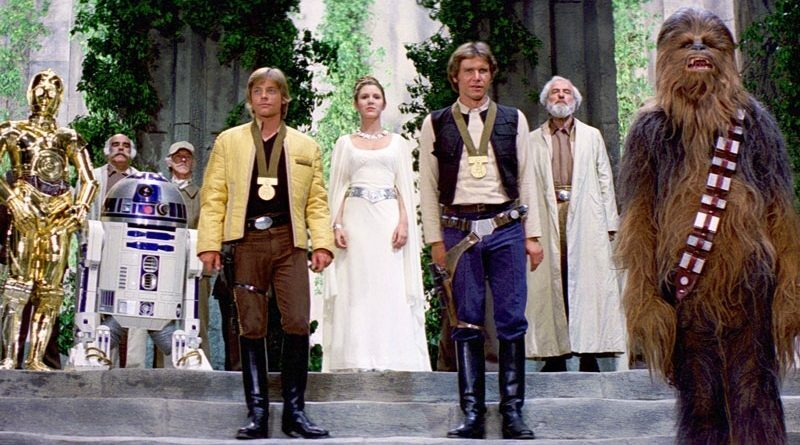 In Episode IV: A New Hope, there were two women with speaking roles and less than ten other women can be spotted, if you look for them, in the background. Three women can be spotted in the deleted scenes from A New Hope, one of whom even had a few lines. Who are these women and where can you find them? Let’s take a look. The first woman shown in A New Hope and the only woman ever seen in space is appropriately Princess Leia (Carrie Fisher). Even though a major plot point in A New Hope is the Princess getting rescued from the Death Star, Princess Leia is nobody’s victim. In fact, the entire plot of A New Hope depends on the stolen Death Star plans this rebel leader manages to sneak into R2-D2 before she is captured. Leia is much more than a princess. She’s a rebel. A fighter. And has more confidence than Luke and Han combined. She also manages to run around for two hours while keeping her elaborate hairstyle perfectly in place – which you must admit is impressive. 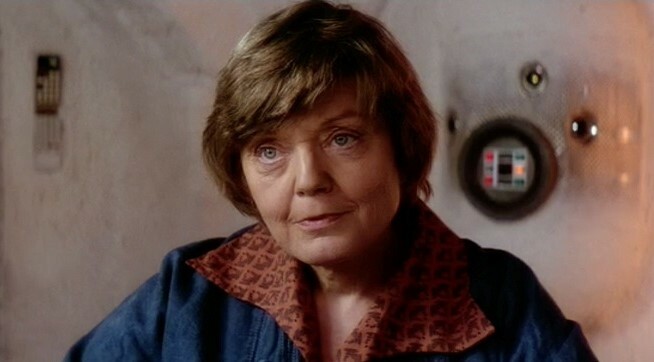 The second woman seen in A New Hope also holds the only other speaking role, Aunt Beru (Shelagh Fraser). Aunt Beru is Luke’s mother figure and dispenser of blue milk (which I bet tastes fantastic). Aunt Beru only gets to say a few lines and flash a few looks at her husband Owen, but she is clearly one smart cookie who knows that they can’t keep Luke on the farm forever. As she says to Owen, Luke isn’t a farmer; “he has too much of his father in him.” Beru’s and Owen’s deaths at the hands of Imperial stormtroopers is the catalyst for Luke following Obi-Wan Kenobi on his mission to Alderaan. The third woman with a speaking role in A New Hope ended up on the cutting room floor, Camie Loneozner (Koo Stark). Camie’s scenes showed several of Luke’s friends hanging out at Tosche Station. These scenes also included Luke’s best friend, Biggs Darklighter. While a scene with Biggs at Yavin was put back into the Special Edition of A New Hope, the Tosche Station clips never made it into the film. While the scenes with Luke’s Tatooine friends were certainly nothing special, it is a shame that a female speaking role had to go with them. In a much shorter and unfinished deleted scene, an old Tatooine woman is shown yelling at Luke as he blasts past her in his landspeeder. Certainly no big loss there. The female extras in A New Hope can all be found in and around the Mos Eisley Cantina, the infamous spaceport on Tatooine. As Luke and Obi-Wan enter the city, dozens of people are seen walking around – most of them added in the Special Edition version of the film. At least one human woman can be spotted walking down the street in this sequence to the right of the Luke’s landspeeder. One is better than none, I suppose. Inside the Cantina at the bar are two stunning women in black braids and blue lipstick. While they don’t have any lines, they do have a bit of screen time and are hard to miss. According to Wookiepedia, the Legends stories identified these two women as Mistryl Shadow Guard warriors Shada D’ukal (Christine Hewitt) and Karoly D’ulin (Angela Stains) who are masquerading as the Tonnika sisters, Brea and Senni. Because nothing is apparently what it seems in Mos Eisley. It sure would be fun to see more of these two in future Star Wars films. Right before Obi-Wan helps Luke get up from his scuffle with Ponda Baba, a blonde woman with crimped hair makes a “blink and you’ll miss it” appearance. This is Swilla Corey (Mandy Morton), who apparently got her name and occupation (pickpocket) in the A New Hope Limited set of the Star Wars Customizable Card Game. The other notable woman in the Mos Eisley Cantina ended up on the cutting room floor. This woman is Jenny (Jenny Cresswell), whose up close and personal moment with Han Solo can only be seen in the deleted scenes. Jenny can still be glimpsed at the far left of the first shot of the Cantina that pans to the right. 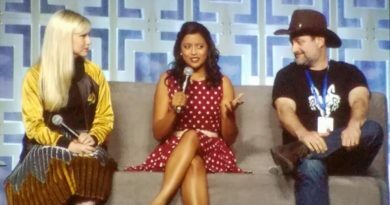 Jenny appears to be chatting with a Rodian in this shot. Hopefully it’s not Greedo. As Luke and Obi-Wan make their way to the Millennium Falcon, several women can be seen in the Mos Eisley alleyways. While a brief appearance by a few female extras isn’t anything to get very excited about, they are the last to appear in A New Hope. The Death Star is a male-only kind of space station, and if there were any women at Yavin they were very well hidden. Not only does there not appear to be any female pilots at Yavin, but there are no women in the flight crew or in the control room (other than Leia). Apparently all the Rebel women were resting after stealing the Death Star plans that made the Battle of Yavin and the destruction of the Death Star possible in the first place. The women in A New Hope can be summed up as merely a Princess and a mother figure, but that cynical view detracts from strength of Leia’s character and her importance in the film. The omission of women from the Battle of Yavin is certainly disappointing, however I am happy to report that the first battle scene in The Empire Strikes Back starts to show a bit more gender diversity.